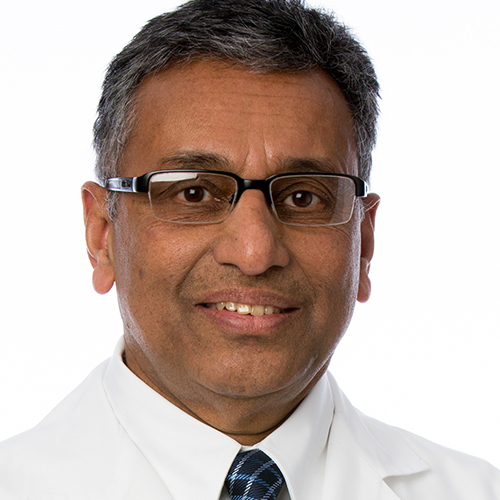 Valal K. George, M.D., Ph.D. is a partner in Michigan Institute of Urology, P.C. Dr. George is a Clinical Assistant Professor in the Department of Urology at Wayne State University. He earned his medical degree from Simla Medical College in India in 1973 and completed his general surgery residency from Trivandrum Medical College in India in 1976. Dr. George earned his General Surgery Diploma from the Royal College of Surgery (F.R.C.S.) in 1985. He completed his Fellowship in Oncology at Bristol Royal Infirmary in the U.K. and completed his Fellowship in Renal Transplantation at Guy’s Hospital, London, U.K.
Dr. George joined the Department of Urology at Wayne State University in 1993, where he received his PhD. in Reproductive Physiology in 1997. He finished his residency in Urology and his fellowship in Sexual Dysfunction and Andrology from Wayne State University in 2001. Dr. George is active in many professional organizations and is involved in community and professional service. He has published numerous scientific articles and has been a key contributor in many medical book chapters. His research interests include male menopause, sexual dysfunction, and male infertility. His clinical practice involves general urology with special interest in sexual dysfunction and male infertility.